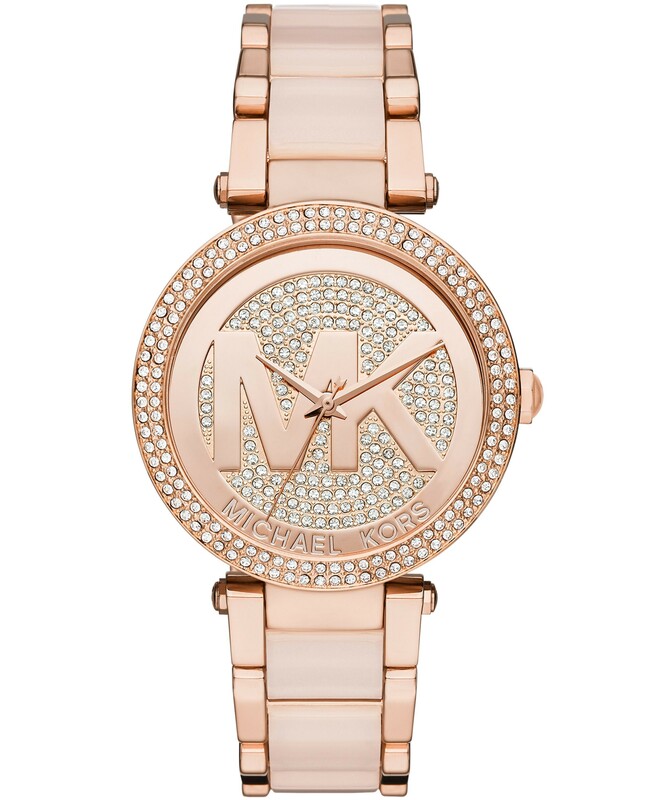 A trendy and attractive timepiece trimmed with sparkling crystal studded bezel and stamped with the MK signature for an elegant finish in a gold dial and a rose gold plated bracelet with a quartz movement. 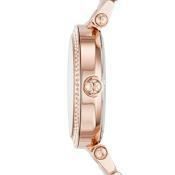 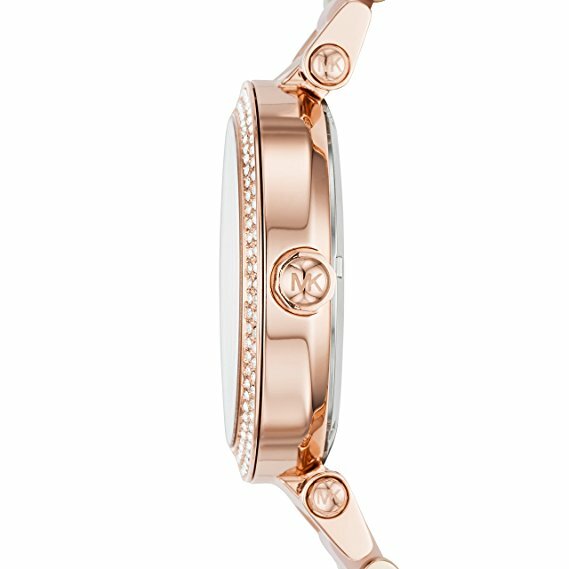 This fashionable watch fastens with rose gold tone stainless steel bracelet. 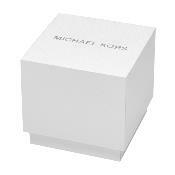 It's stainless steel and fastens with a hidden deployment clasp.